King-Fischer Company is a manufacturer of state-of-the-art emergency communication and fire detection systems. In business since 1967, it is the undisputed leader in its industry. 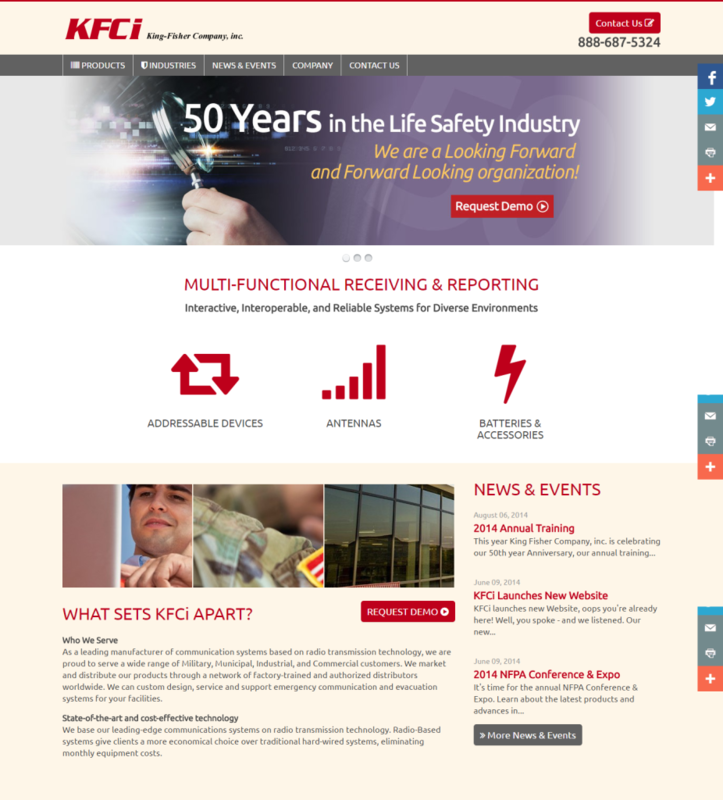 The company wanted to update its website with a new design and new content. One of its stated goals was to identify the three key markets it served: military, municipal and industrial/commercial. It also wanted to be sure the new website was optimized for search engines to ensure a high ranking. Core and More Technologies, King-Fischer’s marketing firm, brought in Susan Greene, freelance copywriter, to create content for the new website. She worked in conjunction with Core’s SEO expert to incorporate the right keywords and meta-tags into the content while making sure the copy met King-Fischer’s objectives. The website was launched just prior to a major trade show in which King-Fischer was an exhibitor. The response the company received to its new website was overwhelmingly positive and company executives say it is a distinct improvement over their previous site in terms of search engine ranking, building their brand and promoting their products. Is it time for you to update your website? Let’s chat about your company website.